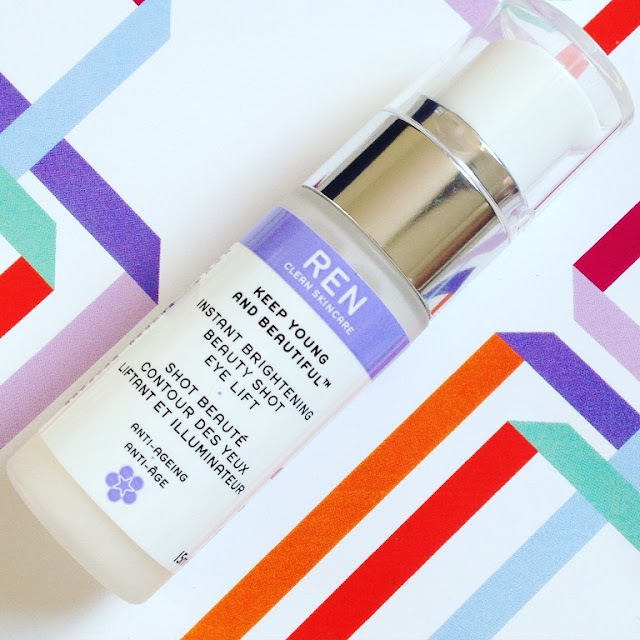 REN Keep Young and Beautiful Instant Brightening Beauty Shot Eye Lift has to be one of the longest product names for a tiny bottle of loveliness but don't let that put you off. The product and the packaging are excellent. First up I love the pump action bottle for ease of use and it is easy to control how much product to dispense. I adore the delicate rose scent which makes this beauty shot eye gel/serum very pleasant to use. 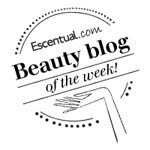 The eye gel is a wonderfully light fluid that absorbs well into the skin leaving no residue. I like to apply my concealer on top of this and it hydrate the area beautifully and the concealer doesn't sit in the lines or creases. Instant Brightening Beauty Shot Eye Lift does exactly what it promises - brightens and smooths the eye area so you look instantly less sleep deprived and just makes the general eye area look so much better. Where my eyes look tired and crepey before use, this perks them up nicely and any dry crepiness is banished. I am loving using this as part of my skincare routine.